“One glimpse of the cascading steel beams mirrored in the reflecting pond and it’s clear that the Hugo and Brigitte Eppich house is a singular achievement, a daring experiment that embodies Erickson’s West Coast modernist ideas about site, material, and form. Erickson’s first steel residence explores both the structural and aesthetic possibilities of the material, with curved beams, dyed cladding, and milled furnishings designed by Francisco Kripacz—features that would have been near-impossible on a regular commission. 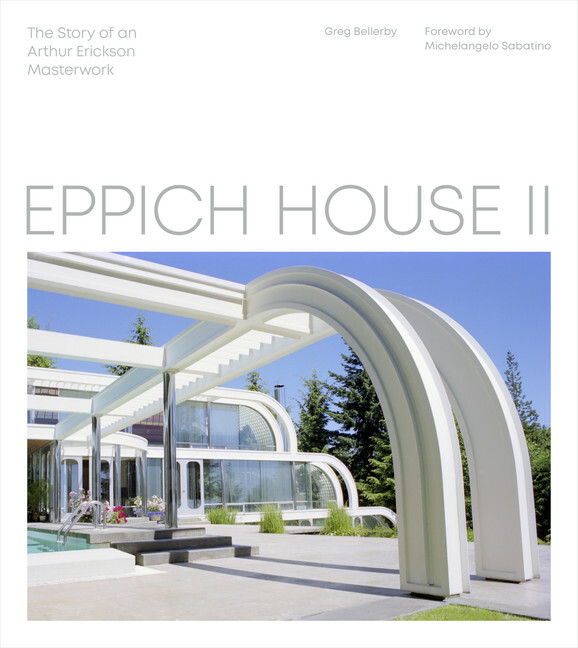 But after seeing the first Eppich House, built for Hugo’s twin brother Helmut, Hugo entrusted Erickson with creating and furnishing the entire house, inside and out—another first for Erickson—and made available the Eppic brothers’ steel fabricating plants, which built virtually every component of the home. Purchase: Figure 1 Publishing or Amazon.